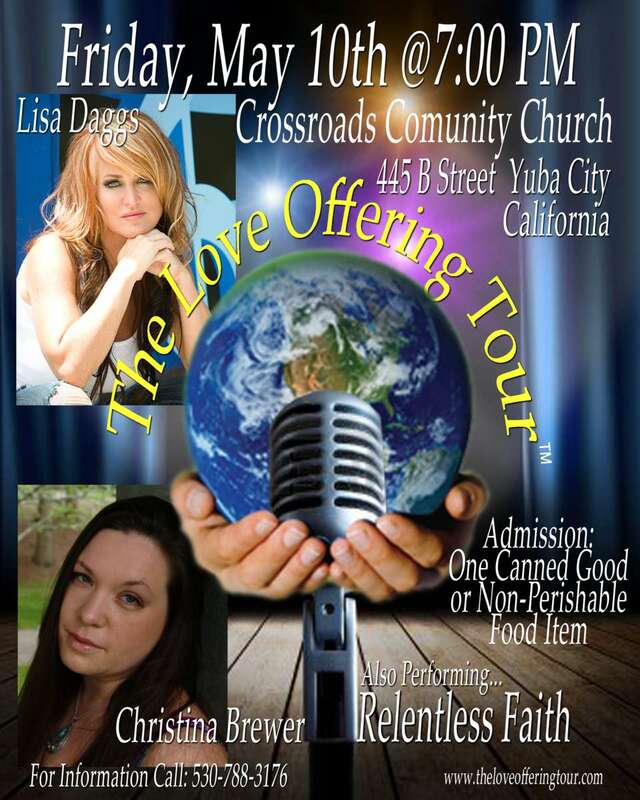 May 10th at Crossroads Community Church in Yuba City at 7 PM. This is the launch of a coast to coast tour to raise money for Hurricane Sandy relief. There will be venues across the country, with many artists coming together in love to fill local food banks and help the needy. Please help by spreading the link, donating, or helping to organize a venue in your area - thanks.